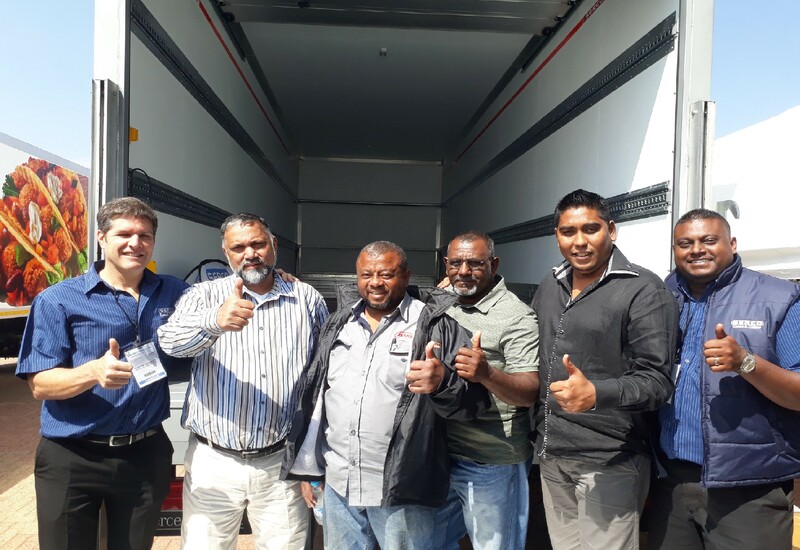 Seen at the handover of the new Bakers SA Ltd vehicle are from left: Clinton Holcroft from Serco with Aman Kader, Farouk Bhadu, Ismail Khan, Mohammed Noushad Cassim and Trivolan Pillay from Bakers. 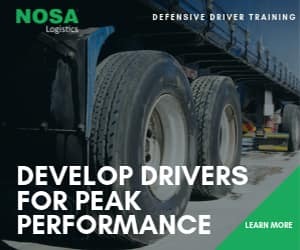 Serco is supplying 31 dry freight truck bodies – including 7 demountable load units – to Bakers S.A. Limited for use in their fleet for the distribution of FMCG, as well as white and brown goods on a national basis. The new Serco units – 5m, 7m and 8.7m in length – are ideal for quick loading and offloading. The demount bodies are being fitted onto Fuso vehicles and the rest onto Mercedes Benz Ategos. The first unit delivered was a Protec steel dry freight body, which is the first dry goods body produced in Serco’s new state-of-the-art manufacturing process. The Protec steel panels are made in the company’s cutting-edge press and incorporate exterior and interior heavy duty coated steel facings. 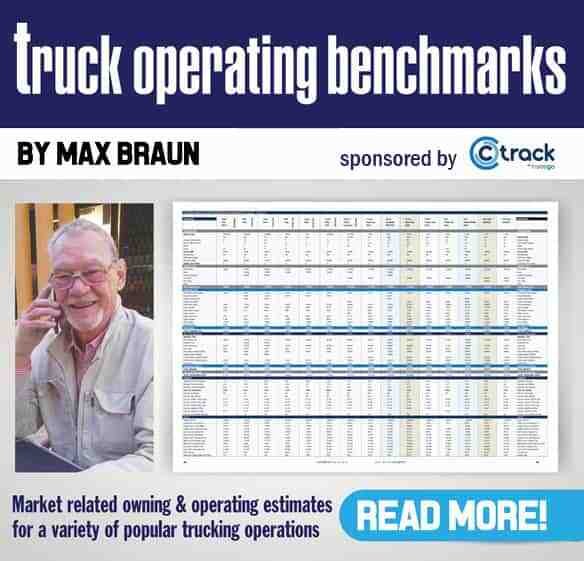 Serco managing director, Clinton Holcroft, says that the demountable load bodies are a relatively underutilised concept on the South African market, resembling a container on wheels! “The idea is that the body and the sub-structure can be dropped off at the distribution centre while the chassis is taken away to be reloaded. The turnaround time is much faster,” says Holcroft. Heavy duty lightweight Birch ply flooring.